As Gary’s already introduced himself, I thought I’d better say hello too. 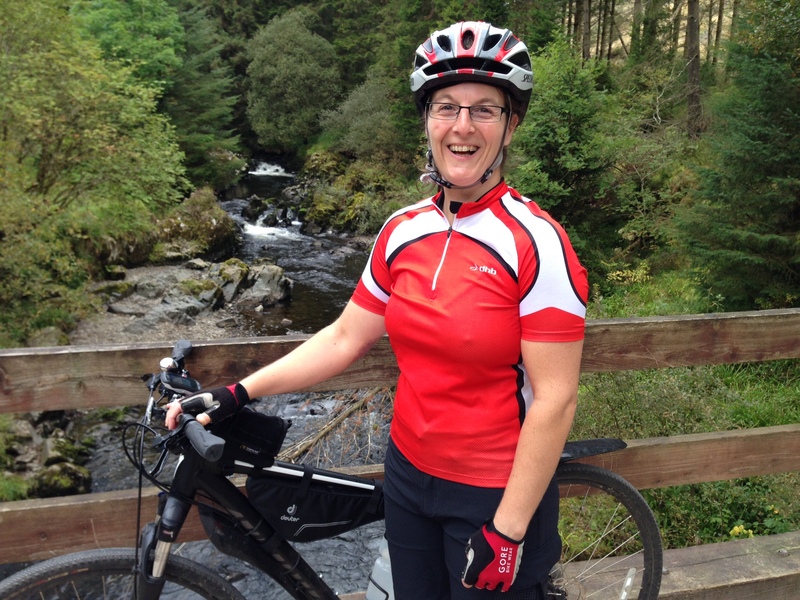 I’m Michelle, and I’ll be joining Gary and 13 others on the charity cycle ride through Vietnam and Cambodia for CARE International UK next year. I think it’s safe to say that, in recent years, I’ve been the more sporty one. I started running as part of a get fit drive in 2008. Since then I’ve completed 5 half marathons and numerous 10k and other races. Not bad going for someone who couldn’t manage a mile when she first started. And then, because I do like a challenge, I decided to start doing triathlons. For those of you who don’t know, a triathlon involves a swim, a cycle and a run – all one after another. Basically, it’s a whole new level of crazy. But also some of the best fun I’ve had. So, I do already cycle a bit. But cycling 460km in 12 days will be a challenge for me too. The furthest I usually cycle in a race is 40km, which will be the shortest distance we’ll cover in one day. And I’m more used to coping with wet and windy Northumberland than the heat and humidity of Vietnam and Cambodia. Until recently, Gary’s been more involved with CARE International UK, as a lender through their Lendwithcare scheme. But it’s a charity and initiative that sits really well with my values of helping people help themselves and understanding how the money I give benefits both individuals and their wider community. It was a huge surprise to discover, as part of the briefing about our cycle trip, that Lendwithcare runs with just three people. I think that really shows a commitment to making sure that resources go where they’re needed and that they do a great job with very few administration costs. So I’ve signed up as a lender too and just made my first loans to a couple of farmers – one in Vietnam and one in Cambodia. I hope this will help me understand the reasons behind taking on the cycle challenge as well as learning a little bit more about the countries we’ll travel through and the people who live there. It was great to meet some of our fellow riders in London this weekend and hear about the different reasons they had for joining this challenge. I’m very much looking forward to the active, endurance aspects, but also getting the chance to learn more about the work that CARE International does in Vietnam and Cambodia. If you're interested in finding out more about the work that CARE International does, or are interested in becoming a lender yourself please visit the Lendwithcare website at www.lendwithcare.org or click on the image below. © 2014-2015 Cycle for Care. All Rights Reserved.